Mr. Jawed Ashraf joined as High Commissioner of India to the Republic of Singapore in November 2016. 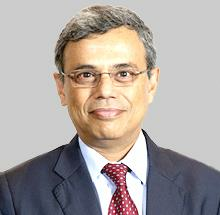 A career diplomat, High Commissioner Ashraf joined the Indian Foreign Service in 1991. He served in Frankfurt and Berlin from 1993 to 1999. He worked in the Americas Division of Ministry of External Affairs in New Delhi from 1999 to 2004. He completed a three-year tenure as Counsellor at the Embassy in Kathmandu in 2007. From 2007 to 2010, he served as Counsellor and Minister for Political Affairs in Washington DC and then headed the Americas Division in the Ministry of External Affairs in New Delhi from 2010 to 2012. High Commissioner Ashraf served as Joint Secretary in the Prime Minister‘s Office under former Prime Minister Dr. Manmohan Singh and then Prime Minister Shri Narendra Modi. His portfolio included External Affairs, Defence, National Security Council, Atomic Energy and Space. He returned to Ministry of External Affairs in January 2016 and was Joint Secretary (Special Projects) until his appointment in Singapore. High Commissioner Ashraf studied Economics at St. Stephen‘s College, New Delhi and Management at Master‘s level at the Indian Institute of Management, Ahmedabad. He recently published a coffee table book of his photographs, “A Day in the Life of Kathmandu”, dedicated to the victims of the Nepal earthquake of April 2015. Outdoor interests include tennis and trekking in Himalaya. He is married to Dr. Ghazala Shahabuddin, an ecologist and conservation biologist.